totaling 11-acres of Chicago grown produce. We employ 300 teens annually. Learn how to grow your garden or farm. Be the change and donate your time. Goat yoga, events and more! healing and creativity through urban agriculture. Every contribution makes a big difference. Please consider donating today to strengthen our cause. Our logo was inspired by the legacy of the Drinking Gourd. “Follow the Drinkin’ Gourd” was a song used by conductors of the Underground Railroad to guide slaves to freedom using the Big Dipper, or in African culture, the imagery of the drinking gourd. Using the north star as their guide, enslaved men, women and children fought their way to freedom. We hope that though our work, we honor the stories and sacrifices of our ancestors. By reclaiming activism and growing food, we give the tools to foster resilience, growth and personal freedom. In addition to farming on 11-acres in Chicago, Urban Growers Collective focuses on two key areas: food access and education. To address food access, we operate the Fresh Moves Mobile Markets, a program that transformed three buses into farmers’ markets on wheels and sells fresh, culturally appropriate produce on the West and Southside of Chicago. Our eduction programs include youth employment, farmer incubation and training, job-readiness for hard-to-employ adults, a head-start preschool farm, as well as urban agriculture and equity building workshops and events. To learn more about our story and programs, visit the ‘About Us’ section of the website. Our core values as an organization honor shared leadership and collective decision making; racial, economic, gender and LGBTQ equity; as well as employee well being: we have witnessed how these values lead to thoughtful, holistic programming and yield environments that nourish and create prosperity. Nothing grounds you more than touching the earth and building community. 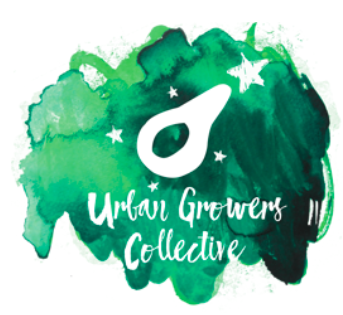 See how you can partner with Urban Growers Collective to add increased capacity to our work and expand our impact. Help us build a good foundation for our programming. Follow us on social media and help spread the word! We are always looking for new volunteers, workshop participants, youth to recruit and new funders. Don't underestimate how powerful sharing our story can be to your friends and family. Create a personal challenge to recruit 10 friends to give $50 or $100. Pick our organization as your birthday or wedding gift beneficiary. Run the marathon and raise money and awareness for UGC. Organize a tour of the farm with folks from your work, school or place or worship. We have tours every Saturday of the South Chicago farm from April through October. During the growing season, we sell produce at a variety of locations in Chicago. Look for us at the 61st Street Farmers' Market, the Bridgeport Market at Antique Taco, and our Fresh Moves bus stops. 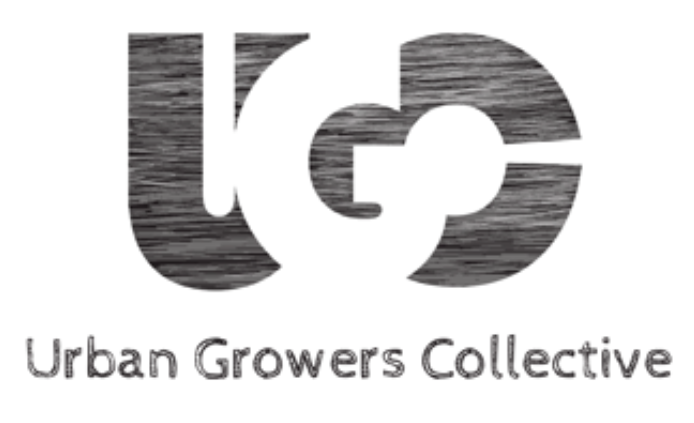 Urban Growers Collective’s approach is to demonstrate and support development of community-based food systems where produce is grown, prepared, and distributed within neighborhoods. In this way, communities help themselves by learning how to provide for their own needs in a sustainable manner. Stay up-to-date on UGC news, staff insights and what is ``fresh from the farm`` on our blog. Your support helps to fund our work, fuel our staff and keep our teens engaged and motivated. We thank-you for your encouragement and dedication to our cause.